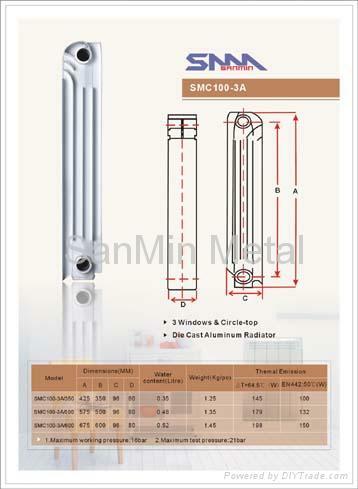 1.Material: Made of high quality aluminum ADC12, exclusive raw material for anti-corrosion die casting. 2. Technology: full body was made by 800 tons automatic die-casting machine so that it can work under a high pressure. 3. 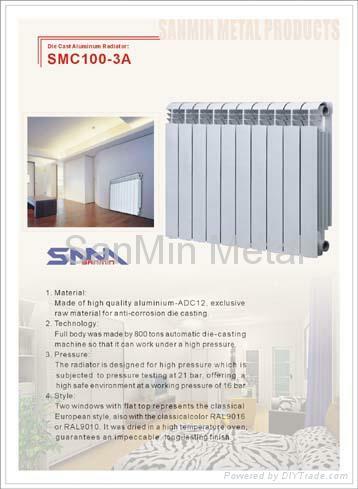 Pressure: The radiator is designed for normal pressure which subjected to pressure testing at 21 bar, offering a high safe environment at a working pressure of 16 bar. 4. Style: Three windows with flat top represents the newest European style, also with the classical color RAL 9016 or RAL9010.